Phoenix-based Sprouts bills itself as a more affordable alternative for health-conscious shoppers. It had net sales of $2 billion last year and operates 163 stores in eight states, according to its prospectus. Sprouts' main competitor is Whole Foods (WFM). On Wednesday, Whole Foods reported solid quarterly results and raised its outlook for sales and profits in the current fiscal year. But the company has been struggling with concerns that rising prices could pressure its profit margins. Whole Foods stock fell slightly Thursday while shares of another organic food grocer, The Fresh Market (TFM), were up more than 1%. Sprouts isn't the first food chain to successfully debut this year. 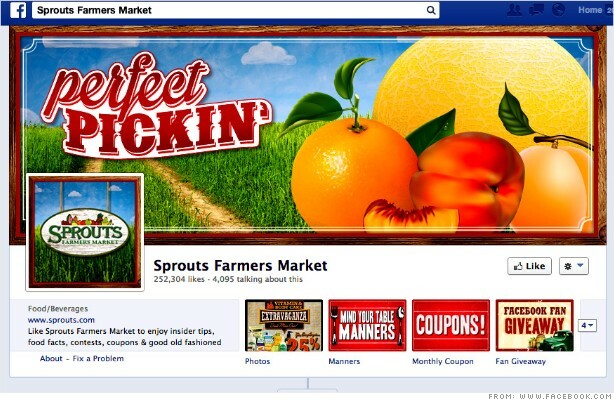 Fairway (FWM), which has several stores in the New York City area, went public in April at $13. Its stock has nearly doubled since then.